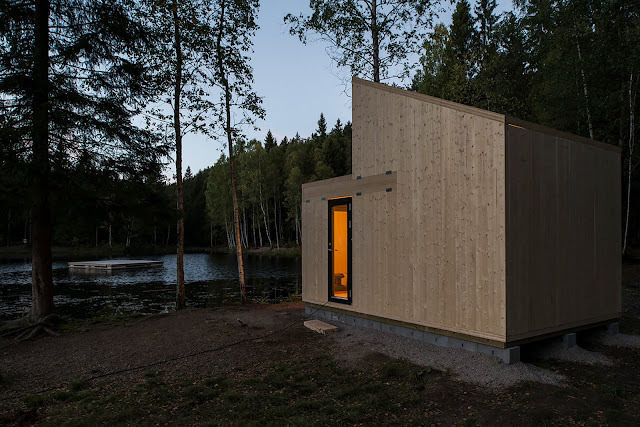 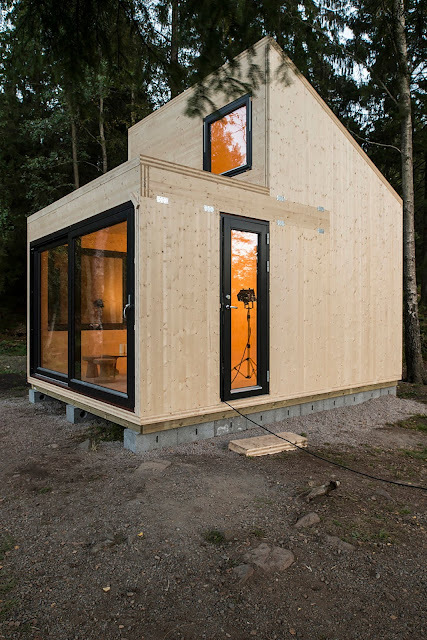 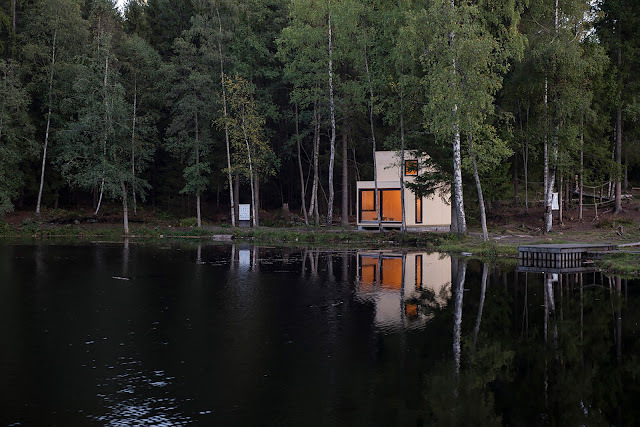 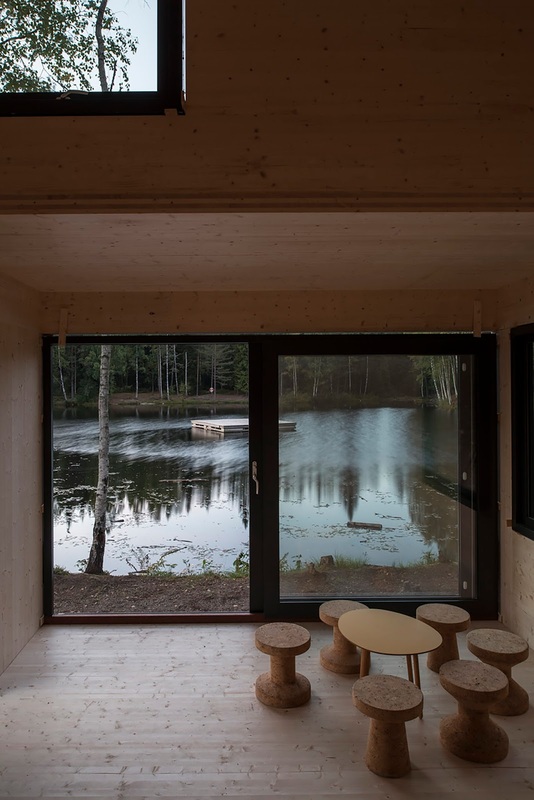 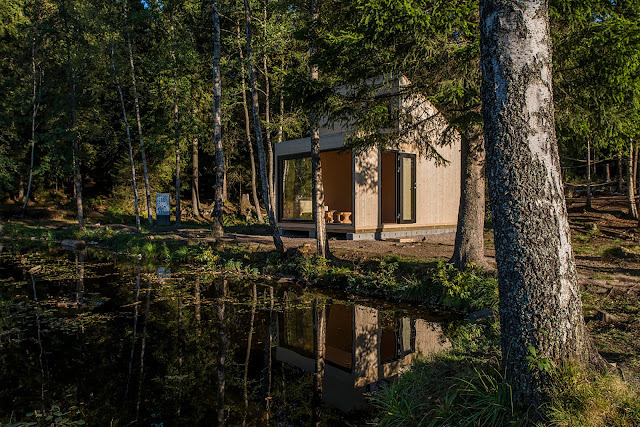 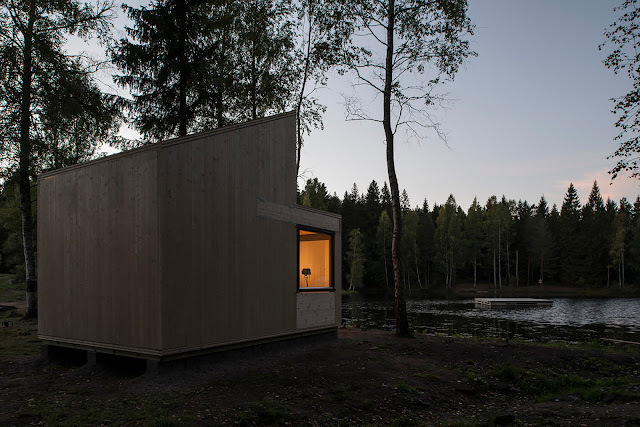 In the woods and by a lake in Isdammen, Norway, is this cozy, minimal cabin. 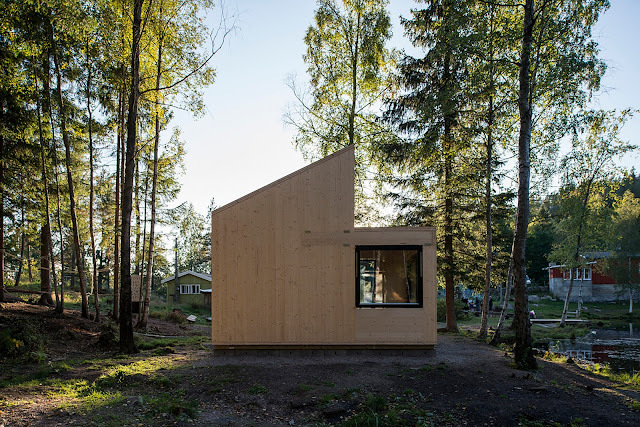 Nicknamed "Woody15" and designed by architect Marianne Borge, the home is composed of 29 cross laminate timber pieces that make the home easy to assemble. The space spans 17 square meters (about 183 sq ft) and features a singular room. 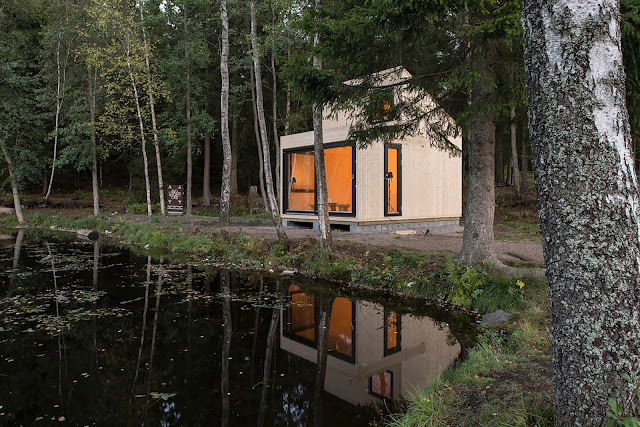 The cabin is pretty basic- there's no kitchen or bathroom, and its only source of heat is a small wood-burning stove. 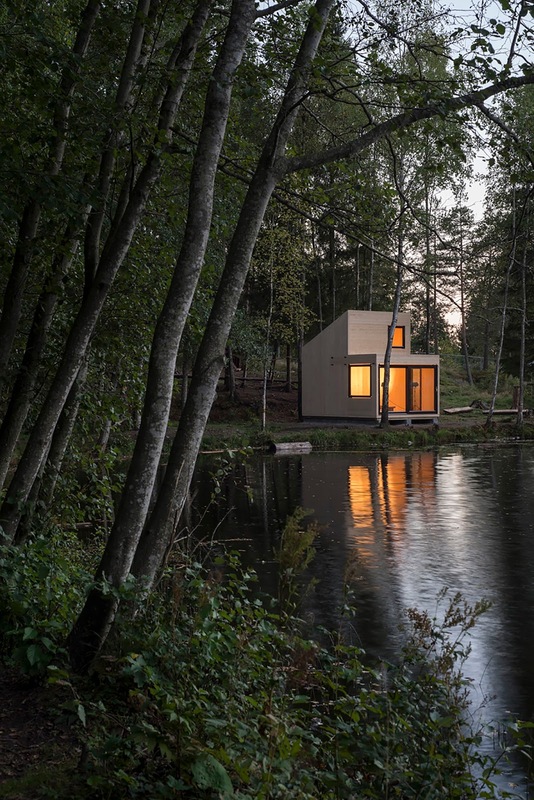 It does make for a scenic place to unplug and get away!